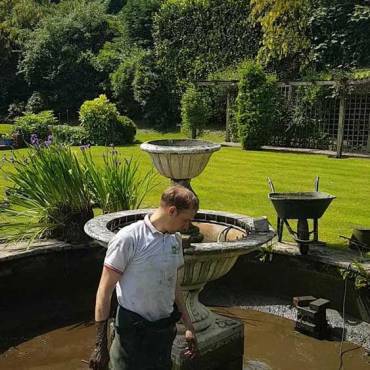 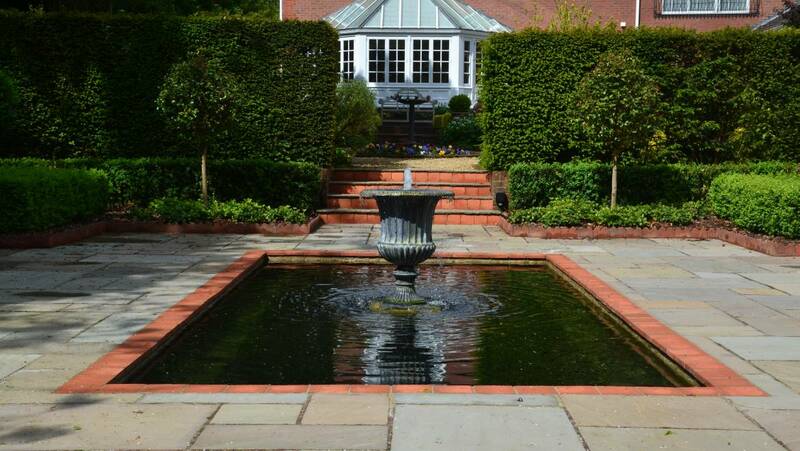 A courtyard and pond garden in Northwood, North West London . 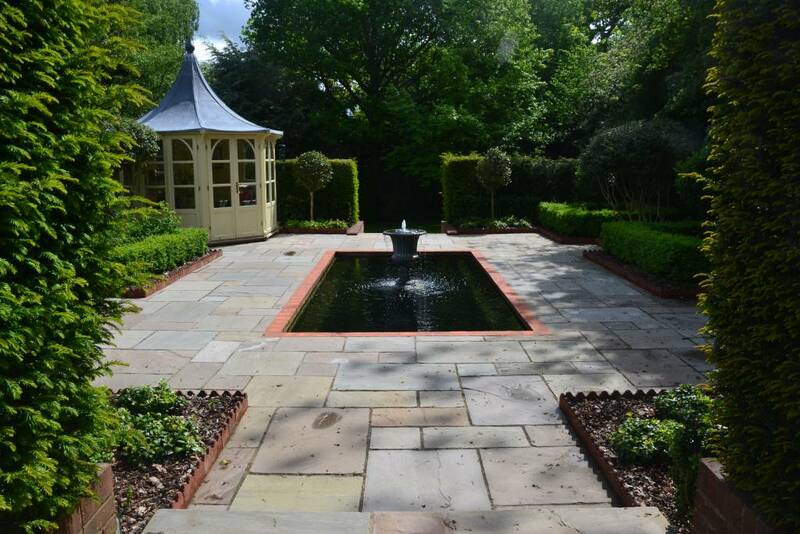 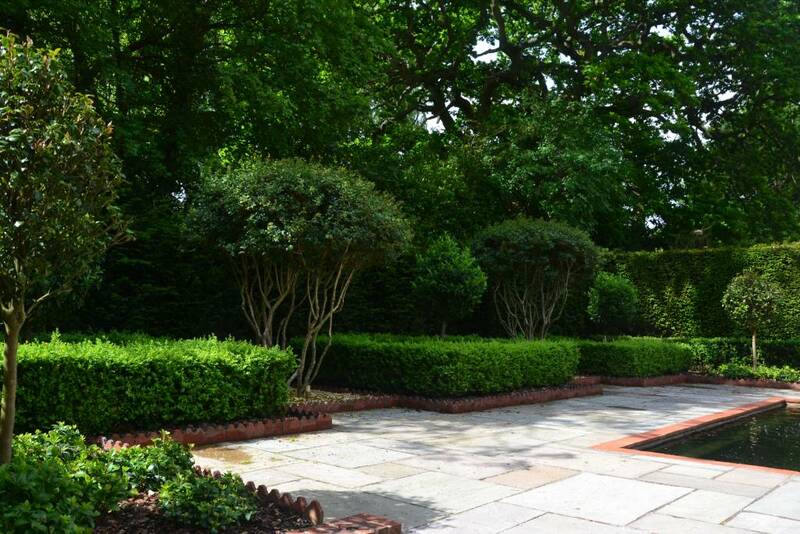 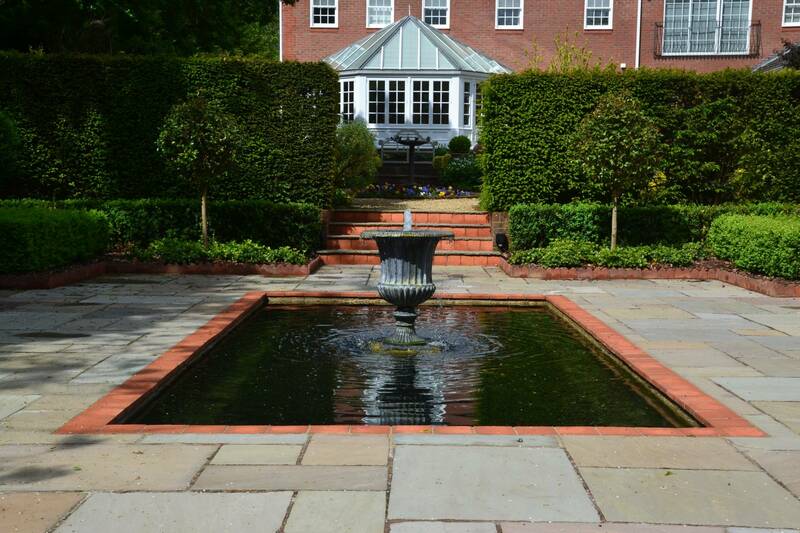 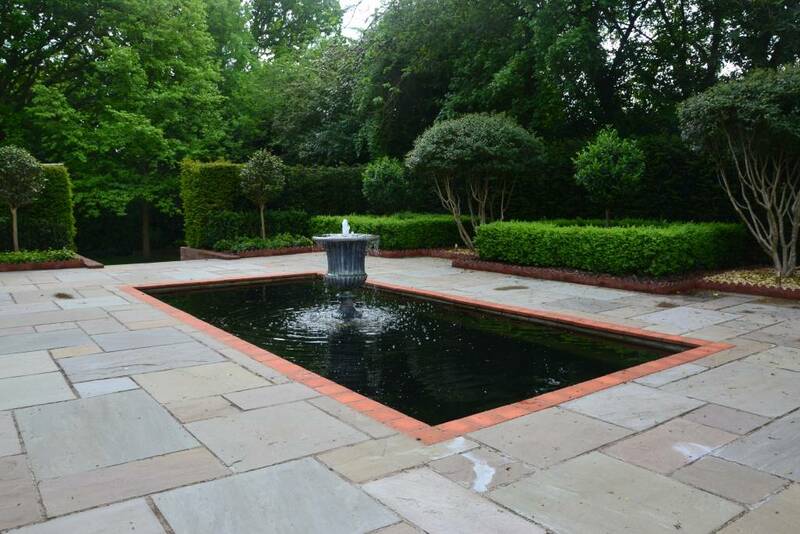 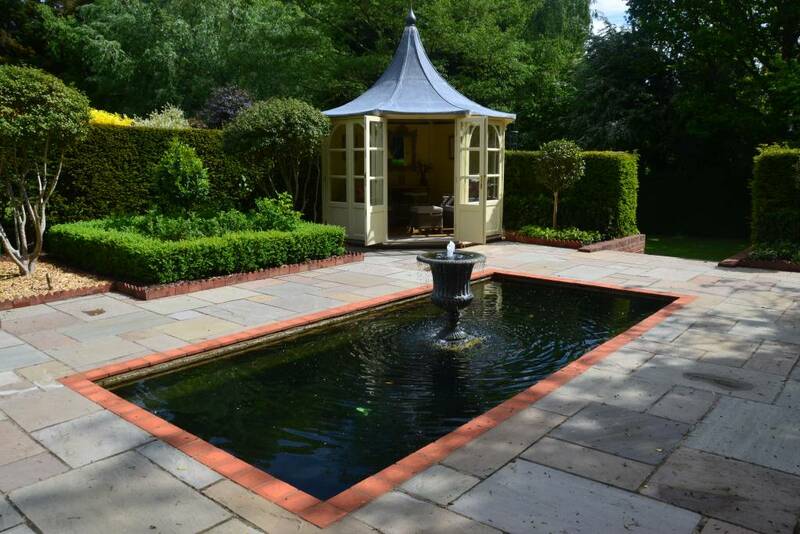 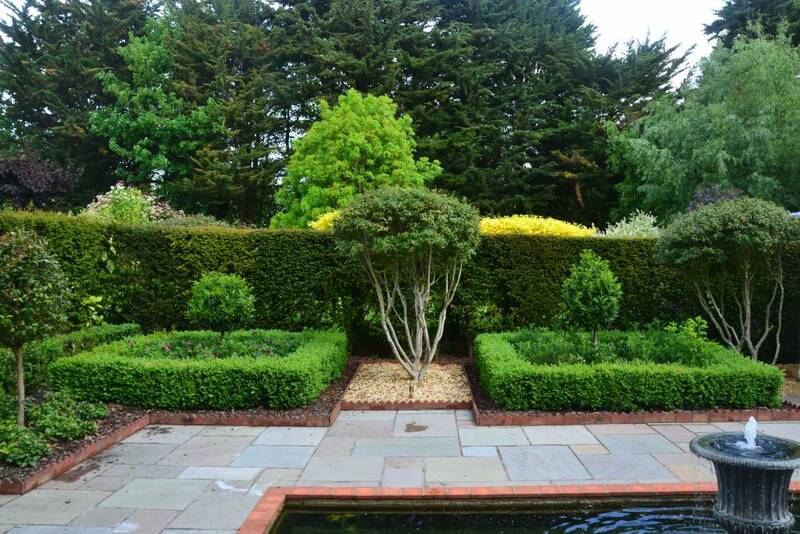 A beautiful formal rectangular pond with a water feature takes centre stage in the courtyard. 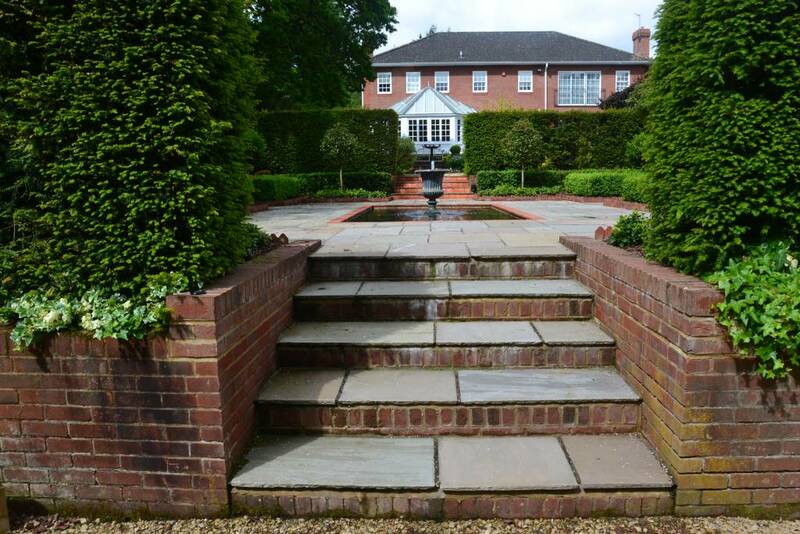 Our garden design team sourced the Victorian square tiles from a reclamation yard in Oxfordshire which complement the warm tones of the Indian sandstone patio. 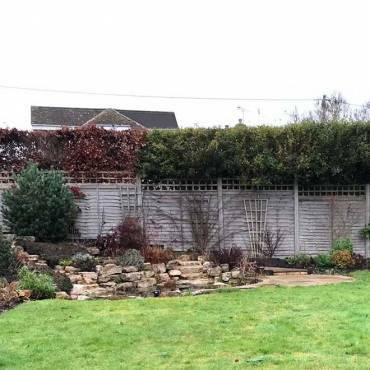 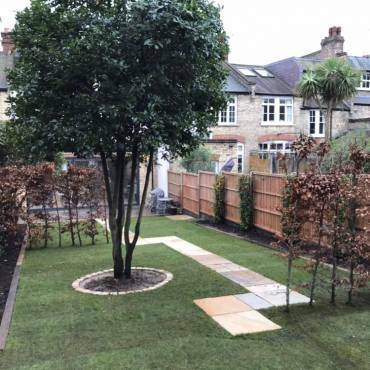 In keeping with the Victorian design, the flower beds and borders feature multi-stems, shrubs and Buxus hedging and are edged with Victorian style clay tiles. 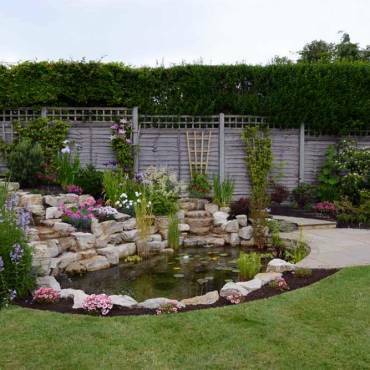 Our clients enjoy a tremendous view from their garden room.